You must have tried a lot of ways to lose weight, have tried many products that promise to make you slim. Have you tried brewing a cup to lose weight? Peppermint tea boosts up the digestion and help to burn more calories. To prepare peppermint tea, add a tablespoon of peppermint leaves to a cup of boiling water. Leave for few (three to five) minutes and strain. Add honey to taste. Peppermint leaves give a refreshing and light flavour and can be drunk either cold or hot. Green tea significantly helps to lose weight. 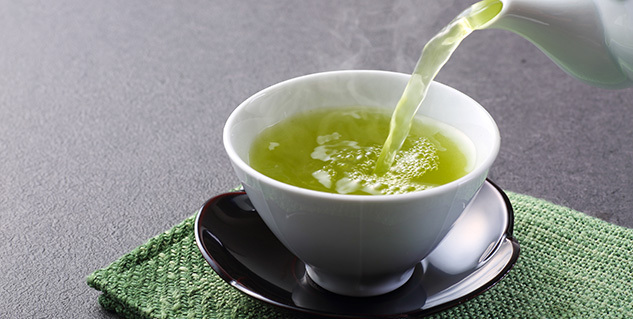 Experts are of view that green tea must be consumed in frequent and moderate manner. Daily consumption of green tea improves the metabolic rate (rate at which fat is burn), improves your body’s ability to process carbohydrates and increase fat oxidation during exercise. It is evident from various studies that two to five cups of green tea on daily basis effectively help to lose weight. Oolong tea comes from leaves of a same plant named Camellia sinensis plant. Tea leaves of oolong are longer than those of the green tea but are comparatively shorter than the black tea leaves. Oolong tea has many unique weight loss benefits; it mitigates the negative effects of excessive fat concentrations as well as meals. According to a research published in “European Journal of Clinical Nutrition” (November 2006 issue) three servings of oolong tea on daily basis reduce the amount of fat absorbed and stored by the body. In other words, it improves body’s fat burning ability and makes you slim. Black tea is a tea variety that is more oxidised than oolong, green and white tea. It is generally stronger in flavour and contains more caffeine. People with low insulin sensitivity are at greater risk of storing blood-sugar as fat. On the contrary, blood sugar is used as energy in the people with high insulin sensitivity. Black tea improves insulin sensitivity of body, as a result person loses weight. Rose tea is one of the oldest teas that have therapeutic effect on human body and help to lose weight. It is made by mixing fresh rose leaves with tea buds. Being a good source of rich in vitamin A, B3, C, D and E, rose tea is known to act against infections. It makes you slim by clearing the toxins present in body. For most people this would sound like a dream come true. All you really need to lose weight is sip a cup of tea, only time will tell how far this would work.